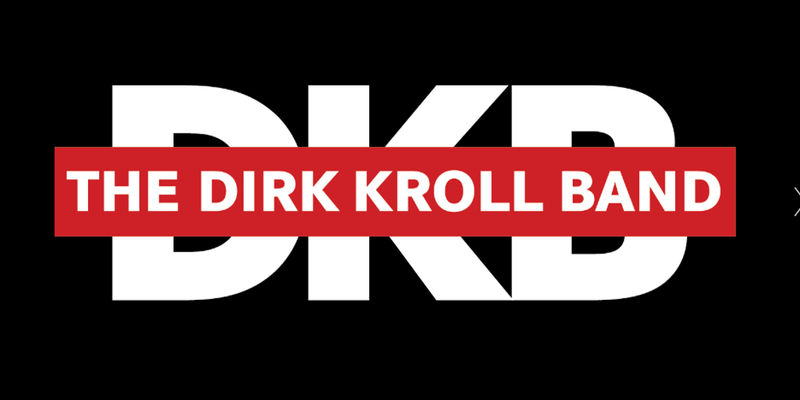 Dirk Kroll writes some punchy pop-rock music with just a good amount of grit and a charismatic swagger. The solo's are fast, flame-wreathed whips and the bass/drum combo sets a solid groove. The vocals can range from soft croon to high creaked crescendos, from sing-speak taunts and flirtations to heartfelt heaves of wavy melodies and dulcet intonations. 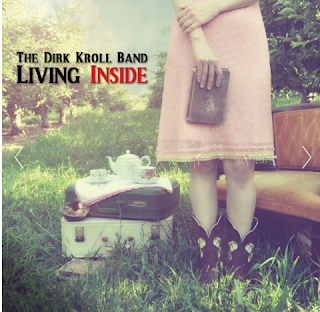 But, when you get right down to it, The Dirk Kroll Band's Living Inside are some sure-fire toe-tappers, soulful rock 'n' roll riffers, and ideal midsummer night's celebratory theme songs. 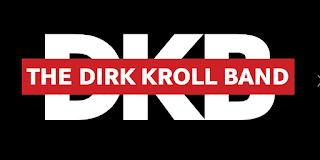 What I dig about Kroll's band is that the ensemble imbues each of their parts, from every solo, to even the bouncing bass licks, with a lot of personality. 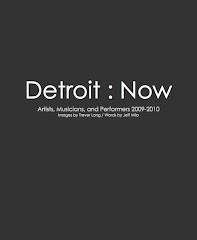 "Reap What You Sow" almost turns itself into a jazz-like conversation between the arrangements of guitar, bass and drums, each tiding and cresting their sonic inflections together in this nice give-and-take rock readout that swells and surges. "I Like The Way" shows the sunburst sweetness and energizing strutability of these kinds of pop/rock exhibitions, evoking the no-frills twang and melodic magnetism of Big Star, with a bit of the razzle dazzle riffage of the Rolling Stones. "Song For Rochelle" is the heart-weary slow dancer or the night owl's contemplative stroll, while "Third Row From The End" brings in the psychedelic smoke and shimmer of some 70's blues rock. "Blazing Red" is a set closer, for sure...full of rollicking hooks and soaring vocal melodies, it's got an energy that spreads its arms wide and hooks down all the curtains. Like I said, crowd pleasing toe tappers. Should be a great party next weekend.